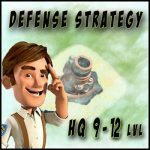 Defense Strategy (HQ 5-8) | Boom Beach. All about the Game! 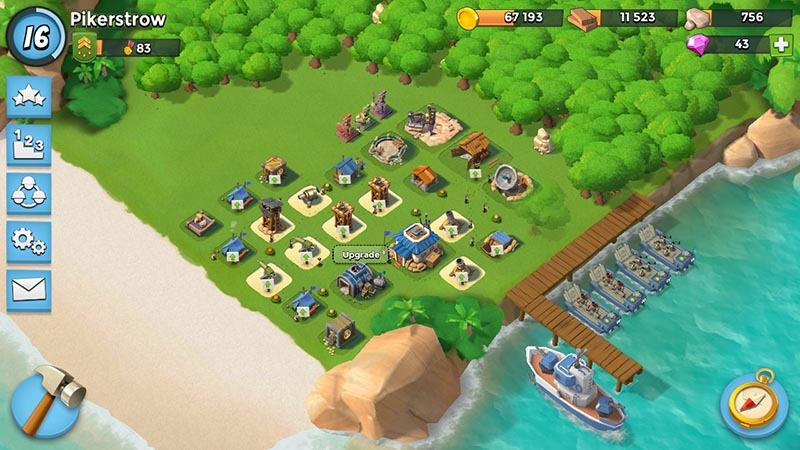 There are a lot of different buildings in the Boom Beach game. All buildings are divided into two types: buildings that have defensive character and buildings of civil purpose. The available number of buildings for installation increases with every upgrade of Headquarters. All buildings players can place as they want and where they want and therefore it is very important to make the correct base defensive layout. 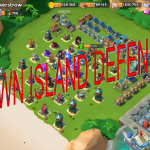 As for me, I think that strong defense is the key to a successful game in Boom Beach and the game strategy should be built on the successful defense. In this post I’ll share my experiences and try to show the best layout strategy in the early stages of the game (HQ 5-8 lvl). 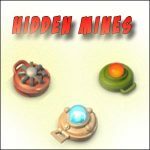 I hope this post will be useful for beginners. Note: I don’t see any reasons to consider the layout for Base HQ 1-4 lvl because at this stage of the game almost nobody attacks our island. 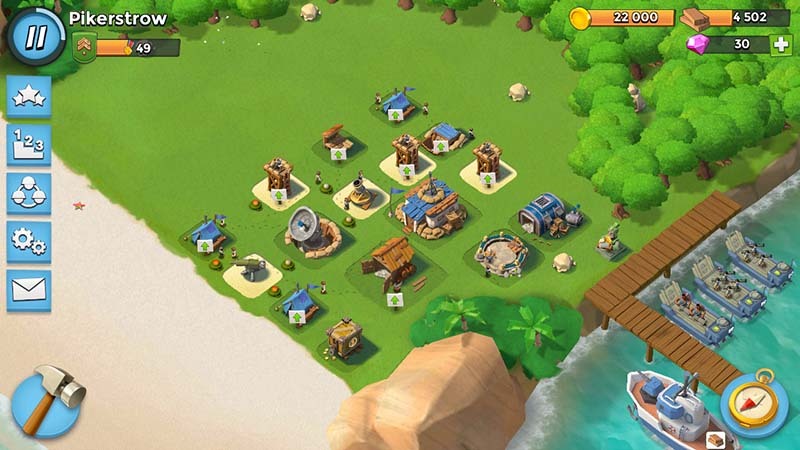 After reaching level 6 of Headquarters the new defensive weapon becomes available in the Game – the Cannon. Also it opens an ability to place an additional Machine Gun. 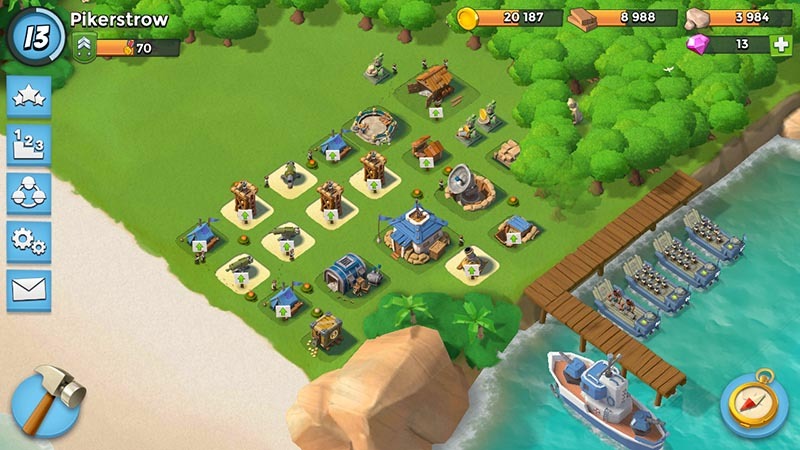 In general 7 units of defensive buildings are available: the Cannon, 3 Sniper Towers, 2 Machine Guns and 1 Mortar. From non-defensive building only the Stone Storage opens. As you can see i also tried to place all buildings into the radius of attack of at least one defensive weapon. The only weak point of such position is the possibility of freely attack the Sawmill from the rear. But the probability of such attack is low because on this stage of the game the Flare acts very short period of time and to send troops to the rear requires a lot of energy expenditures that is the unacceptable luxury. At the 7 level of Headquarters from the defensive buildings opens only one Mortar. Total amount of defensive buildings on this stage of the game is eight: the Cannon, 3 Sniper Towers, 2 Machine Guns and 2 Mortars. From the civil buildings an additional Gold Storage becomes available and new building – the Quarry. 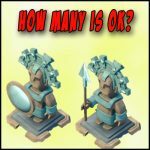 The principles are the same – try to don’t place buildings tightly together and try to place every building in the radius of attack of at least of one defensive building. 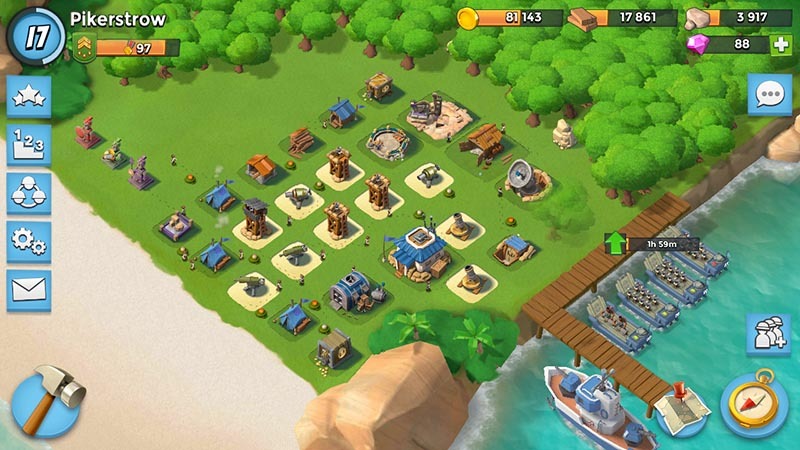 In the Boom Beach after upgrading the Headquarters to level 8 from the defensive buildings opens one more Cannon and Sniper Tower. From the non-defensive buildings we can place one more Wood Storage. Thus total amount of available buildings is 26 (include the Headquarters). P.S. During the time until I upgraded the Headquarters to the level 9, my base was attacked 16 times and only one attack was successful for the enemy. This entry was posted in DEFENSE and tagged Defense, Defense Layout. Bookmark the permalink.